From safety to style, here are our picks for 2018’s top car seats. Car safety is key, that’s why it’s so important that your car seat is up to date with the latest safety requirements and innovations. 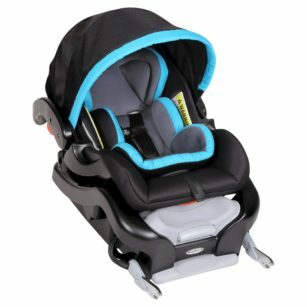 These car seats are the newest to come out and incorporate the latest technology to keep your baby or toddler safe. It is a scary fact that most car seats are installed incorrectly. 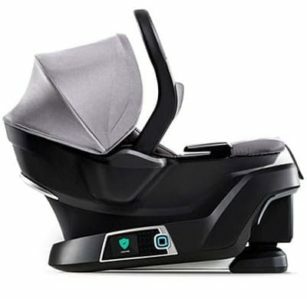 4moms is innovative in that they have created a self-installing car seat. It installs itself by automatically leveling and tensioning, then continuously monitors its status during use to ensure it is always correctly installed. This ultra-light car seat is not only easy to carry but was to clean, too. The seat cushion snaps o so you can throw it in the washer and dryer. For babies from ve to 22 pounds. 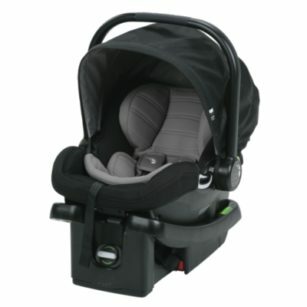 The City GO infant car seat comes complete with the ClickSafeTM base, the TaxiSafeTM Belt Path that allows you to safely buckle it into a car without the base, and you can easily pop it onto your stroller to make a travel system. This car seat has four reclining positions and a built-in level on the base. On cold days, you can tuck baby’s legs into the cozy boot. 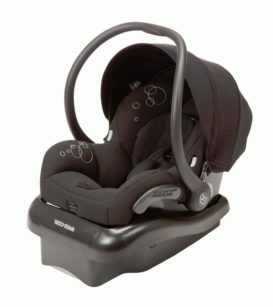 Pair this car set with any of Baby Trend’s strollers for an entire travel system. For infants up to 30 pounds and up to 30 inches. We have received compensation for these placements, but the opinions are our own.